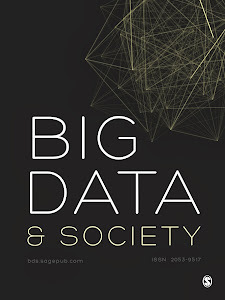 This paper examines how the availability of big data, coupled with new data analytics, challenges established epistemologies across the sciences, social sciences and humanities and assesses the extent to which they are engendering paradigm shifts across multiple disciplines. In particular, it critically explores new forms of empiricism that declare ‘the end of theory’, the creation of data-driven rather than knowledge-driven science, and the development of digital humanities and computational social sciences that propose radically different ways to make sense of culture, history, economy and society. It is argued that big data and new data analytics are disruptive innovations which are reconfiguring in many instances how research is conducted and there is an urgent need for wider critical reflection within the academy on the epistemological implications of the unfolding data revolution, a task that has barely begun to be tackled despite the rapid changes in research practices presently taking place. Contemporary societies are characterised by the way that all large-scale processes of strategic management (whether by corporations, governments or any other entity) increasingly rely on total surveillance: that is, on the continuous gathering and analysis of, and actions adjusted for, dynamically collected, individual-level data about what people are, do and say (big data). Compared to representative sampling, this approach to data collection is totalizing; it is also characterized by aggregation of multiple data sets through the use of calculation algorithms. This seemingly greater role for algorithms has led some commentators to focus on the alienating quality of the resulting ‘algorithmic power’ (Lash), an approach which leaves no room for agency or reflexivity on the part of ‘smaller’ actors. We posit that the emerging culture of data collection deserves to be examined in a way that foregrounds the agency and reflexivity of individual actors as well as the variable ways in which power and participation can be constructed. This article will offer a ‘social’ approach to the construction/use of data and analytics. The approach improves on current understandings of ‘big data's' theoretical and empirical qualities by thinking through how the new aspects of this type of data are relevant for people, their practices and their politics. More specifically, the paper will explore, schematically, some key sites of fieldwork intervention that emerge within such an approach. First, work within a ‘social analytics’ approach (Couldry and Fotopoulou forthcoming) which studies the uses by social actors of data analytics of various sorts (whether generally available or customised) to sustain the sort of digital presence they need to have and more generally to achieve their broader social and civic purposes. Second, the study of 'data as media' that connects with how people are talking about emerging internet sensor-networks, and the questions about relative structural operations of power (and indeed participation, when data is media) that can be empirically investigated through around 'smart' cities, and emerging 'internet of things' applications. Third, turning to the wider issues for power and its resistance, we will discuss the increasing importance not just of voice (Couldry 2010) but also 'visibility' or 'transparency' when we think about the particular qualities of data as ‘media’. In a period of extraordinarily rapid transformation since around 2010 the advanced economies of the world have moved from the relatively immature stages of what was once celebrated as ‘the information age’, ‘the digital era’, and ‘the knowledge economy’ to what the IT trade boosters promote as ‘Analytics 3.0’ the ‘Fourth Paradigm’, the ‘Big Data Revolution.’ Now it is claimed that the entirety of the events in the universe, can be digitally recorded, quantified, assembled, mapped and analysed algorithmically, enabling data mining and pattern recognition on the most massive of scales, which in turn will reveal the answers to many questions including ones not yet asked. In addition to heralding a profound epistemic transformation in the effort to create a panoptic archive the ‘Big Data revolution’ also seems set to introduce massive economic, social and political transformations in knowledge production, privacy, identity in the massive efflorescence of global surveillance revealed by Edward Snowden. Economically the Big Data revolution can be seen as analogous to the industrial revolution where labour and land were accumulated through dispossession and enclosure of the commons. This time the object of accumulation is another common good–the previously unrecognised and unvalued asset class– data. The world is undergoing the latest phase of socio-technical change that Heidegger described as ‘enframing’– the continual setting up, ordering, transformation and revealing of everything in the world as ‘standing reserve’– as something ready to be used, and to be transformed and used again’. But now not only are ‘our everyday lives are turned into data, a resource to be used by others, usually for profit’’ they are directly accessed by the world’s security agencies in pursuit of total surveiilance. As Bruce Rich points out enclosure and framing have reciprocal meanings: ‘enframing has its historical counterpart in the interpretation of western economic development as a process of enclosure’, and according to the OED one definition of enclosure is to insert in a frame or a setting. As ever the terms and conditions of what it means to know and to interact are being shaped by the technologies that provide communication and information. Big data does not, of course, exist in isolation, it has come into being in part through the development of the interconnective network made possible by the internet, and through the ubiquitous invisible web of digitisation, software, code, and algorithms that are the calculative framework and infrastructure of modern society. Big Data in combination with the internet has generated a new knowledge space, a commons which initially held great promise as a knowledge democracy in which everyone would have equal, unfettered, rights, along with open access and participation in all there was to know. But paradoxically, the interconnectivity and the generation of massive volumes of data that make the augmented knowledge commons possible also create the conditions for ‘digital enclosure’. The forms of enclosure of the knowledge commons are multiple, complex and emergent, but all serve to restrict access, freedom and innovation through surveillance, territorial control, and commodification, or through standardization and ontological constriction. Many would argue that there is nothing new or revolutionary about Big Data, science and the state have always aimed for accumulating as much data as possible. What makes it possible to argue that big data is now revolutionising knowledge production and surveillance is that the development of new modes of data assemblage and analysis make it seem, not just plausible, but essential to establish a regime of recording everything and hence to know everything. The evanescent dream of knowing everything and everyone is reborn as a combination of the panoptic archive and the ‘surveillance assemblage’. Radically powerful and insightful new ways of understanding the world are indeed being opened up, but unsurprisingly the new world of Big Data is attended by paradoxes, contradictions, exclusions, restrictions, discriminations, and occlusions. Davenport, TH. (2013), Preparing for Analytics 3.0, Retrieved Feb 28, 2013, from http://blogs.wsj.com/cio/2013/02/20/preparing-for-analytics-3-0/. Hey, T, S Tansley, et al., Eds) (2009), The Fourth Paradigm: Data-intensive Scientific Discovery. Redmond, Microsoft Research. Mayer-Schonberger, V and K Cukier (2013) Big Data: A Revolution That Will Transform How We Live, Work and Think, Boston, Houghton Miflin. Steiner, C (2012) Automate This: How Algorithms Came to Rule The World, New York, Portfolio/Penguin. Rich, B (1995) Mortgaging the Earth: The World Bank, Environmental Impoverishment, and the Crisis of Development, Boston, Beacon Press, 238. Graham, SDN (2005) Software-sorted Geographies, Progress in Human Geography 29: 562-80; Kitchen, R and M Dodge (2011) Code/space: Software and Everyday Life, Cambridge, MIT Press. Andrejevic, M (2007) iSpy: Surveillance and Power in the Interactive Era, University of Kansas Press. Andrejevic, M (2007) Surveillance in the Digital Enclosure, The Communication Review, 10: 295-317. Schiller, D (2007) How To Think About Information, Urbana, University of Illinois. Haggerty, K and R Ericson (2000) The Surveillant Assemblage, British Journal of Sociology, 51(4): 605-22. Foucault, M (1986) Of Other Spaces, Diacritics, 16(Spring): 22-27; Bowker, G (2013) The Theory/Data Thing, International Journal of Comunication, 7: 1-20.